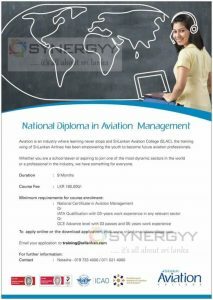 Aviation is an industry where learning never stops and SriLankan Aviation College (SLAC). The training wing of SriLankan Airlines has been empowering the youth to become future aviation professionals. Whether you are a school leaver or aspiring to join one of the most dynamic sectors in the world or a professional in the industry, we have something for everyone.